According to Expertise.com, their goal is to connect people with the best local experts. They scored advertising agencies on more than 25 variables across five categories, and analysed the results to give a hand-picked list of the best advertising agencies in New York, NY. 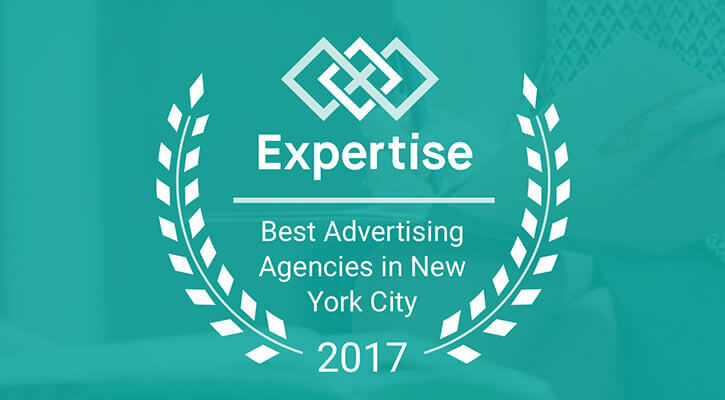 For us to be named to the 2017 Top 20 Advertising Agencies in New York amongst the 1,949 that were reviewed by Expertise.com is a great honor.